HAITI. Plateau Central. 2007. Autha Adolph, 26, an unmarried woman staying at the hospital in Thomonde. 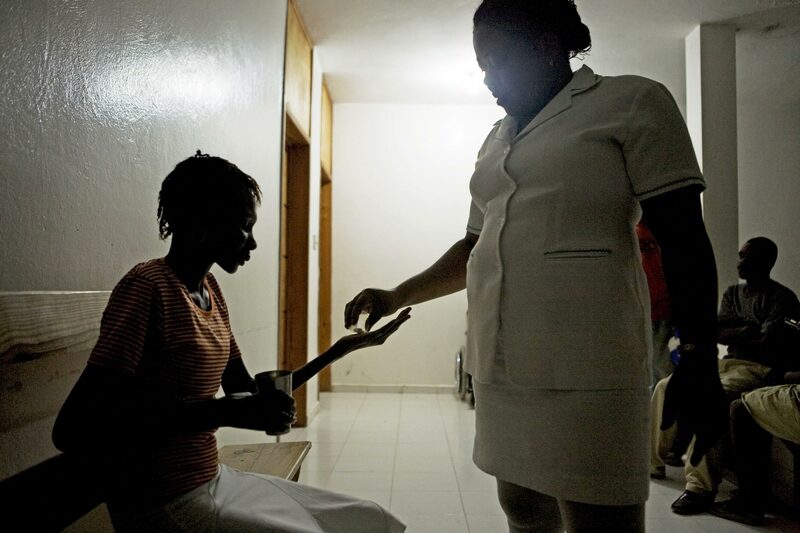 She was a maid in Port-au-Prince, where she contracted HIV. Autha receiving her night dose of the ARV medicines.